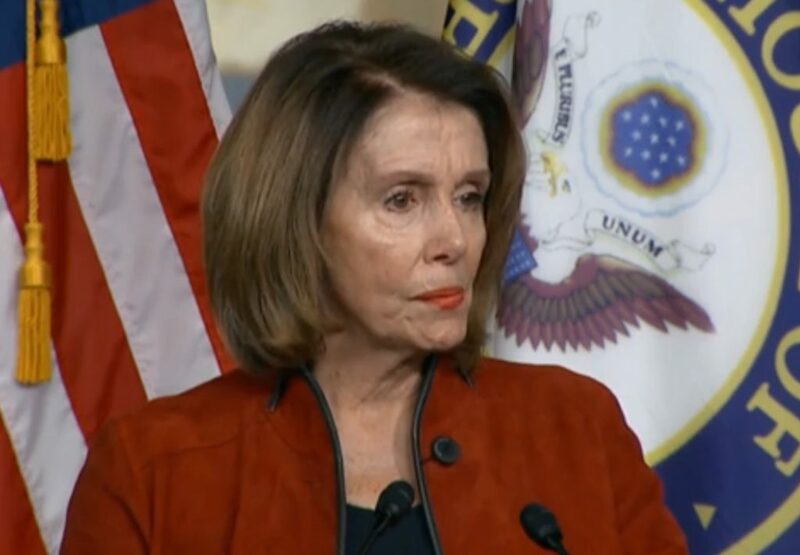 Answering questions at her weekly press conference, Nancy Pelosi took time to insult all of the companies that have announced bonuses and salary raises for their employees in the wake of the Trump tax cuts. The Democratic House Minority Leader from California showed her true nature as a snake who doesn’t care if Americans get a better deal if it’s the Republicans and the Trump White House who deliver it. So far, several big companies with employee numbers in the tens of thousands have announced bonuses and wage increases as a direct response to the Tax Cut And Reform Bill which was passed just before Christmas. The most recent announcement has been from Walmart who told media that employees who have been with their company would be eligible for a $1,000 bonus and less experienced employees would receive smaller amounts. They also announced financial help for employees who adopt children, saying that the tax reform bill gives them “the opportunity to be more competitive globally and to accelerate plans for the U.S.” by allowing them to invest in their staffers. She went on to say that the same company — which she refused to name — said that they would also be laying off 1,500 employees or force them to work part time. Spoken like a woman who has no concept of what a few extra hundred dollars can mean to a person or family. She went on to say that she thinks the bonuses are “insignificant” and that the companies should have spent the money on infrastructure. Along with Pelosi, one of the other big name California liberals who is crying about the bill is Barbra Streisand, who was shocked to find that her usual tax shortcuts no longer held and that despite the rhetoric, she, a multi-millionaire would be paying more in taxes this time around.